After studying for months, I now had with me the little bottles, the flower drops I could use for myself! I looked squarely at my shortcomings: I wanted to improve and become a better person. And if there was one thing that stood out at the time that I did not like in myself, was my impatience with the timing of others and my inability to to listen to a whole sentence without jumping in to complete it. This was truly compulsive, I could not help myself. And I also needed more tolerance with the timing of things and of life itself. 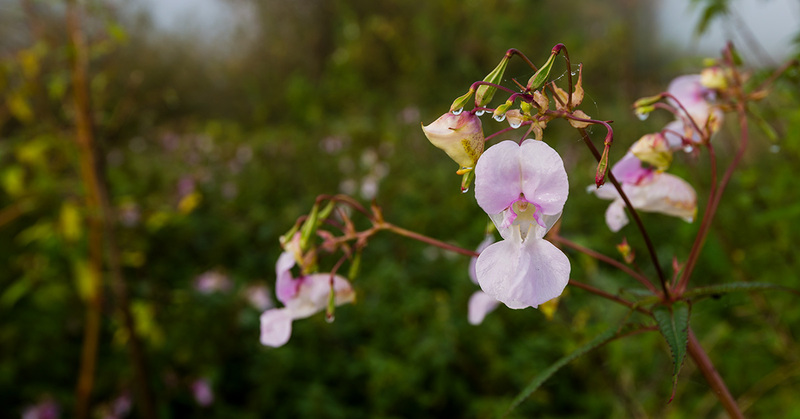 Impatiens began showing me what changing these ways felt like. I started to experience a slowing down, and, a newly expanded ability to LISTEN! At the time, I had no reference of what I was to learn further along and had read nothing about human energy fields and chakras. And this is what happened: clearly, something “opened up”, as if I had been “uncorked” at the top of my head. Hard to explain, but it felt really good. Now I know that an unblocking and clearing must have occurred. Only further on I came to understand that I had experienced remarkable changes in my energy field and chakras! Even more remarkable was the feeling that something had “popped out” off my throat area, again as if a cork had come out. I felt a clear radiance expanding from that area, a sense of freshness. From then on my voice came out brighter, more vibrant. Not that it was feeble before, but it seems that being able to listen more, allowed me for a different quality when expressing myself. This feeling of emanation from my throat area stayed on for weeks, a mixture of warmth and freshness. The center palms of my hands continued to radiate that unusual warmth (described on another post). I only came to understand all of this a few years after this happened. 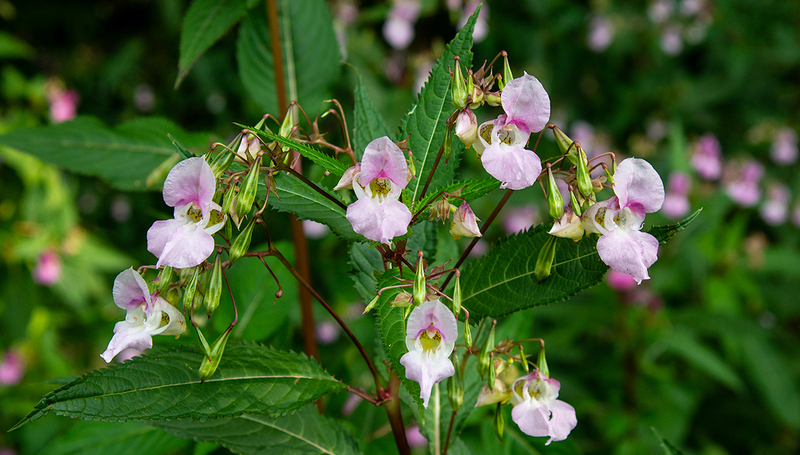 With the help of the Impatiens flower essence I improved my ability to listen and not be in such a hurry to give my opinion. Over time, I experienced a lessening of the opinionated attitude that had been such a strong element of my upbringing, and that I also wanted to change. While listening and healing communication are, for me, part of an ever evolving process, I know I can count on flower essences to teach me how to move further. My journey with flower essences has continued to deepen, and I see it as an ongoing life long process. From that time onwards, I continued to be devoted to serving people, now having the flower essences to offer as help for their journeys! But it all evolved into so much more: I went on to become a voice for Flower Essences and Flower Essence Therapy, helping to build the foundations of the education on this field in Brazil, as a producer of courses, teacher, interpreter and translator. To think that all of this started with Impatiens! Over three decades I learned so much more and am endlessly fascinated by the teachings offered by plants and their essences. I learned that Impatiens was the first remedy Dr Edward Bach discovered when he began preparing flower essences in the 1930’s! I also learned much more about each plant, and this helped me understand their qualities with depth and vividness. The Bach essences I use are prepared by Julian Barnard and distributed through the Healing Herbs. They are available in the United States through the FES store, and in the UK at the Healing Herbs of Edward Bach. Julian Barnard, one of my favorite mentors, shares his wisdom in this video. How was your first experience with flower essences? Please comment and register your impressions!